A carpet of passion fruit under the vine… the high winds and rain this month have given me a glut of passionfruit to use up and this is the perfect solution! 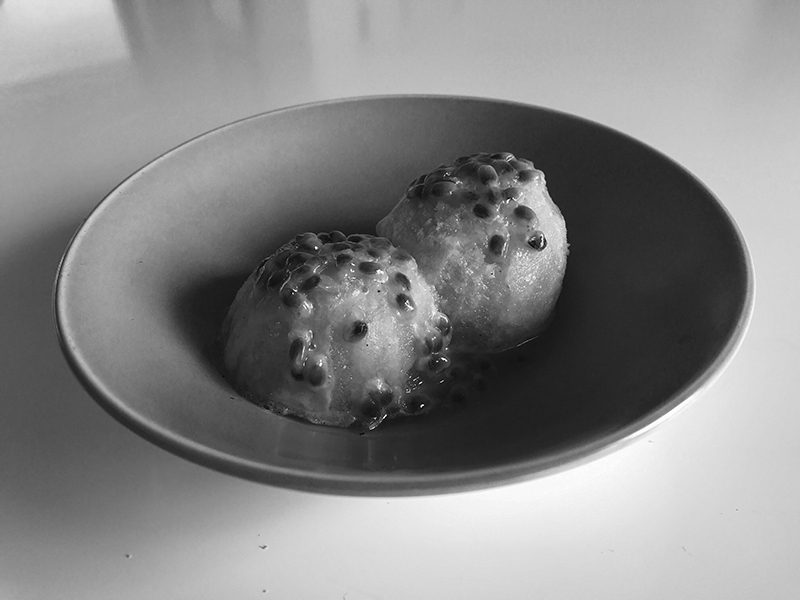 It is sweet but deliciously zingy and the flavour of the passion fruit really comes through. 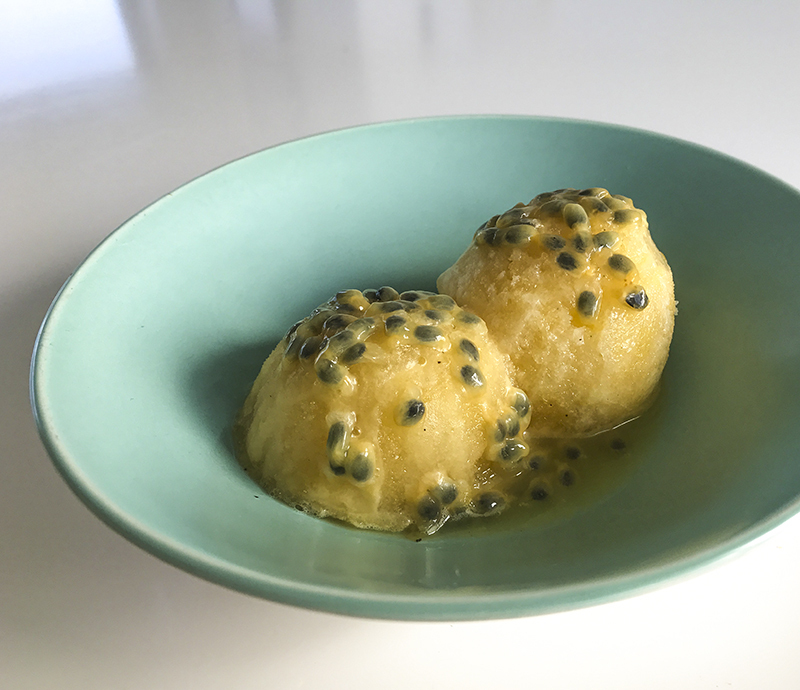 I made enough sorbet to fill a two-litre icecream container, just multiplying the recipe by five – so I used 40 passion fruit, and five lemons. Boil the kettle and measure out the water into a small saucepan. Add the sugar and heat, stirring until the sugar has dissolved. Put aside to cool. 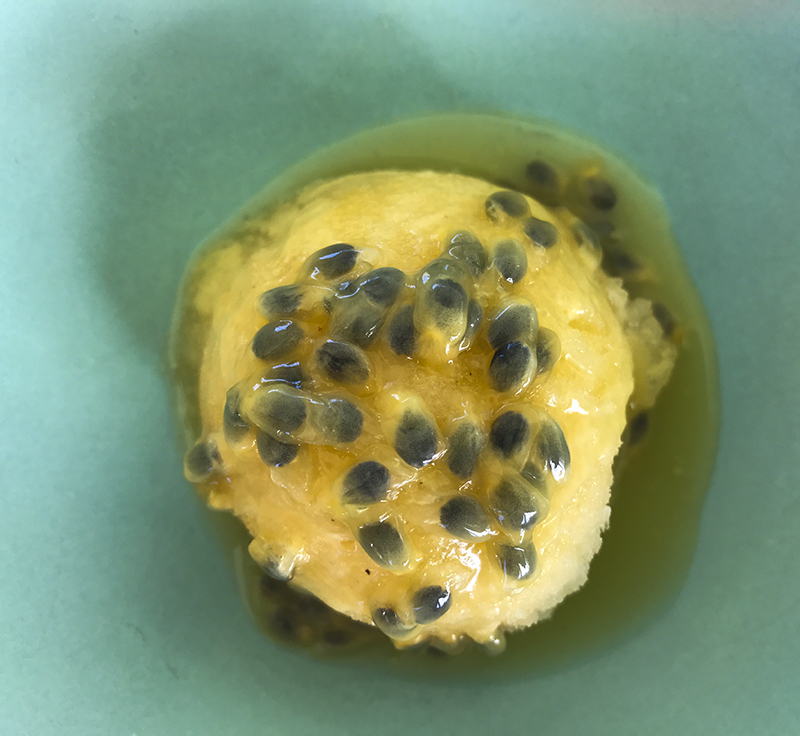 Spoon the flesh and seeds of the passion fruit out into a food processor, add the sugar syrup and blitz for a few seconds. This will loosen the flesh from the seeds. You don’t want to grind the seeds up though. Pour the mixture into a sieve and push it through with the back of a spoon. All that should be left in your sieve is seeds. Add a spoonful of seeds back to the mixture and discard the rest. Pour the mixture into an icecream container and put in the freezer. Stir every couple of hours (the more you stir the smaller the ice crystals will be in your sorbet). If you make this recipe, snap a photo and hashtag #coromandelflavour – I love to see what you’ve been making and any feedback is really welcome.